Dr. Whitney Brooks is a clinical psychologist who provides individual and group therapy to adults and elders. She is an LGTBQIA-affirming clinician with comprehensive expertise in mood, anxiety and autism spectrum conditions; her therapeutic approach includes empirically supported cognitive, behavioral and mindfulness therapy, such as Dialectical Behavior Therapy (DBT) and Cognitive Behavior Therapy (CBT). Dr. Brooks believes in collaborative partnership with individuals as they work to achieve their personal goals, growth and healing. Dr. Brooks’ diverse range of clinical training and experience includes adult outpatient therapy, developmental disability assessment and therapy, college counseling and individual counseling at skilled nursing facilities. She graduated from the University of North Carolina at Chapel Hill with highest distinction in 2004 and worked for several years providing services to adults with developmental disabilities before pursuing graduate studies at The Ohio State University, where she earned a doctorate in Clinical Psychology and Intellectual and Developmental Disabilities (IDD). 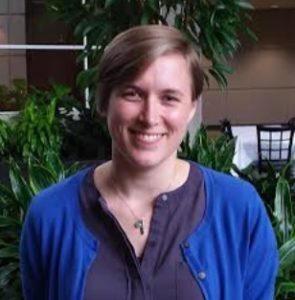 Dr. Brooks then completed a postdoctoral fellowship at the UNC TEACCH Autism Program, where she continues to serve as a consulting psychologist. I am committed to providing a safe, compassionate environment in which individuals can explore their concerns and challenges. I believe that respect and celebration of diverse minds and perspectives — our own, and others’ — is the key to personal and interpersonal growth. I also believe that, in order to understand the interactions between our thoughts, feelings and behavior, it is important to view our experiences within the larger context of the complex world in which we live. It can be quite challenging to find balance in our lives and learning mindfulness skills can be a valuable part of that process. I strive to practice mindfulness in my work and in my personal life through a variety of activities, such as reading, listening to music, swimming, meditating and spending time with family and friends. I am currently unavailable for new client appointments. If you need additional referrals, please check with your insurance provider or, if you are interested in DBT skills training groups, please contact Paige Barnett at the Chapel Hill Office (919-929-1227). Current Clients: You may contact me on my confidential voice mail at 919-256-2195.